Dimensions 8.5" H x 4.5" Top diam. 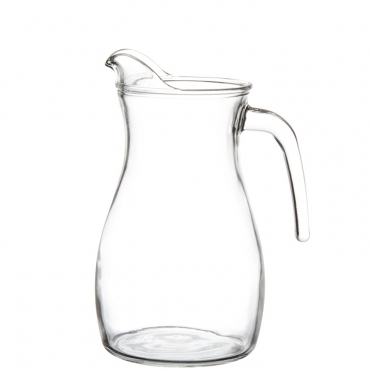 If your next event will have a modern and contemporary theme, this glass water pitcher will look sharp on your tables. 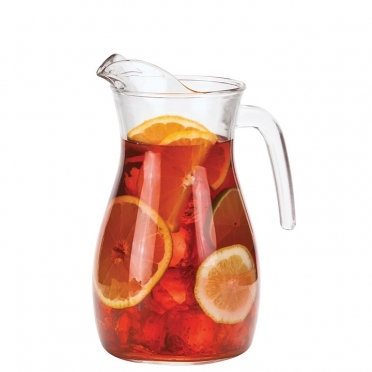 The curvy and sleek design will complement your decor and provide a functional way to pour iced beverages, punch, or a rich sangria. 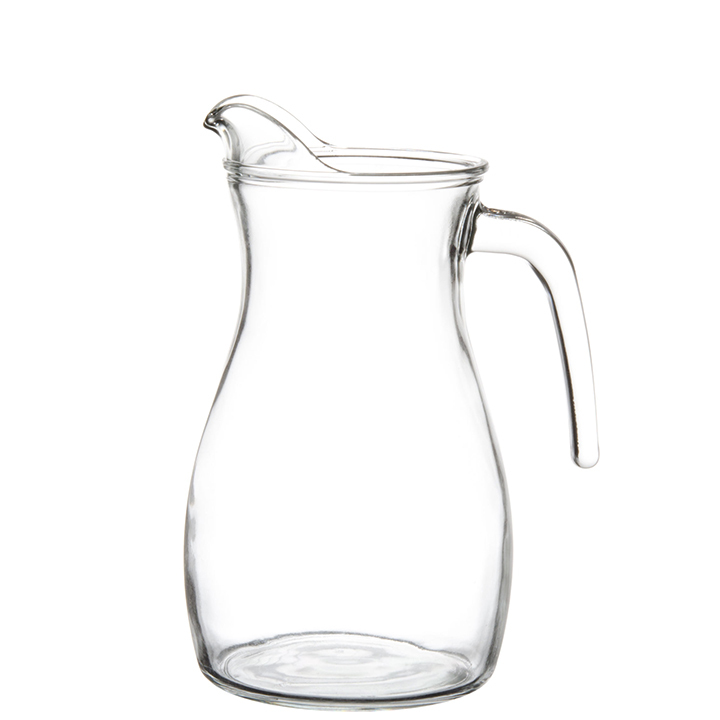 The semi-detached handle offers stability during pours, and the large lip helps to keep spills to a minimum. © 2019 PartyRentals.US® Inc. All rights reserved. NYC Party Rental Company.